I am drowning in deadlines this week, so por favor, excuse this short post. But I just wanted to be sure and share this website with all of my Spanish-speaking familias out there who follow along on this blog for good Spanish resources. I have stumbled upon this wonderful website from the University of Illinois Extension. 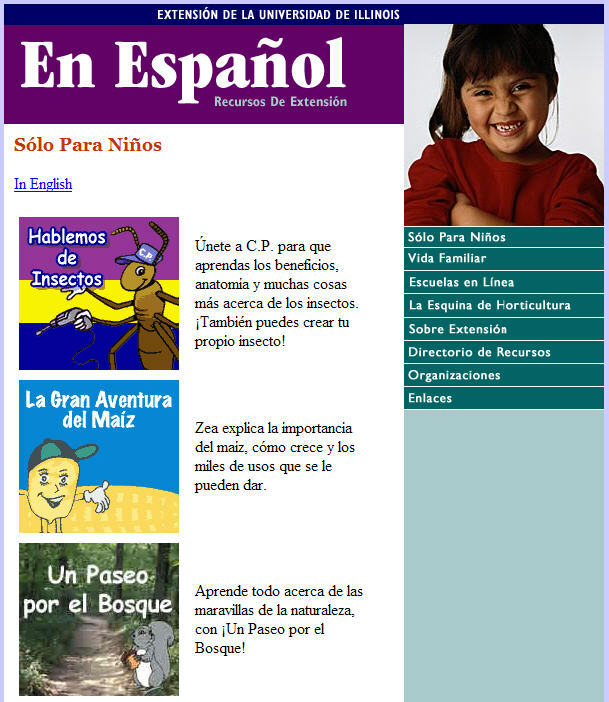 En Español has a whole section of Spanish lessons for young students. From insects to gardening, this site has a handful of subjects that will entertain young children. It even comes with a Teacher's Guide. They have done such a marvelous job creating this website, and for those of you raising your children in English, they also have an English version of the site. Run over there now and see what you think!